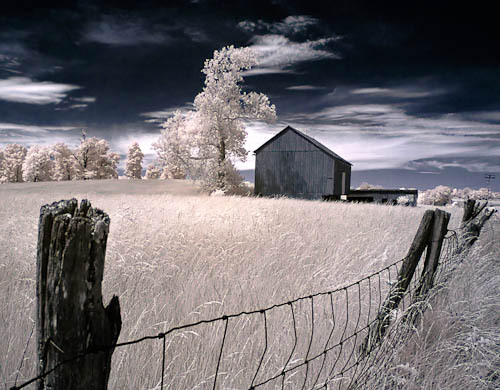 Infrared photography reveals a whole new range of color and tonal relationships that are unseen by the eye in visible light. Up until recently special film sensitive to infrared (IR) wavelengths was used and a dark infrared filter was needed over the lens to filter out visible light. Early digital cameras were sensitive to IR in varying degrees but the filter was still needed. This normally resulted in a lack of overall sensitivity that required slow shutter speeds, requiring a tripod, to capture enough light to make the exposure. Viewing through the lens was difficult because the dark filter made it very hard to see to focus and compose the shot. 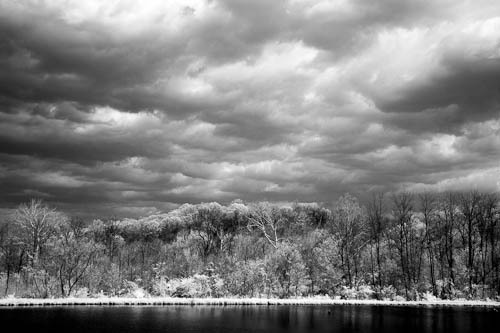 My first attempts at IR photography were with my first digital camera, a 5 megapixel Minolta. I was able to test the IR sensitivity of the camera by aiming the TV remote into the lens and observing in the electronic viewfinder that I could see the remote’s infrared transmitter light up. 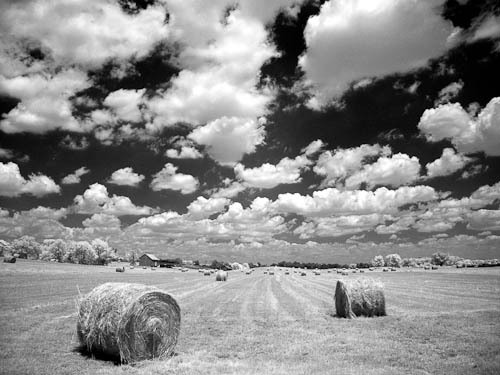 I bought an IR filter on eBay and went out to try my luck with the hayfield just a few miles from my house on an absolutely fabulous day. 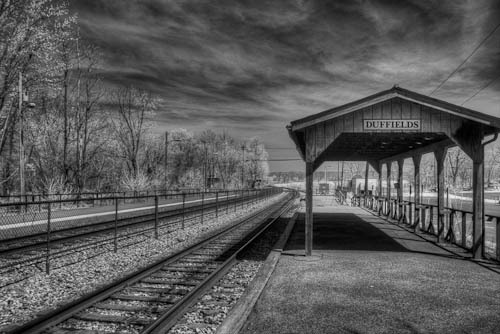 Infrared photography has become much easier with the ability to use modified digital cameras specifically for infrared capture. 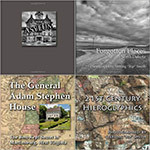 Most digital sensors are sensitive to IR but allowing the IR to reach the sensor in normal photography tends to degrade the sharpness of the image. This is because IR wavelengths focus at a different point on the focal point of the sensor. Some older lenses that were used with IR film photography had an additional focus index to show the shift that was needed when using IR film. To mitigate this effect, most digital cameras have a filter in front of the sensor that removes IR wavelengths, allowing only visible light to reach the sensor. When the camera is modified, this filter is removed and replaced with a sensor that passes *only* IR wavelengths. Another benefit is that because the sensor is quite sensitive to IR, short shutter speeds and small lens openings can be used so that it is easy to hand hold the camera when capturing the images. My first IR-modified camera was a Nikon D100, which was modified in 2006. “Live Oaks” was captured at Brookgreen Gardens near Huntington Beach State Park in South Carolina, about 20 miles south of Myrtle Beach. 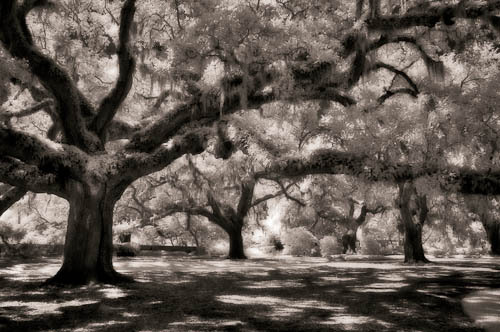 The unusual tonal relationships and the hanging Spanish moss add to the ethereal feeling of the group of great live oak trees. 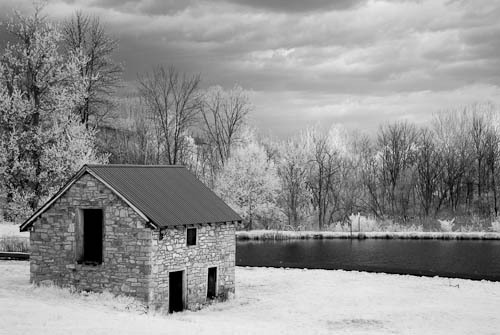 Perhaps my most successful IR image was the “Barn and Tree”, captured just a little way from the location of the hayfield. In fact, you can see the barn in the distance on the left hand side of the hayfield shot. The image shows the most obvious characteristics of IR images, green foliage is rendered white and blue sky is rendered very dark or black. Most of the time, IR images are converted to black and white. But in this case, I was fiddling around with the file in Photoshop and stumbled on this color rendition. The colors are just close enough to real to be plausible, but just different enough to add an element of mystery. Sadly the barn is now gone so I’m glad I was able to get a good photo of it while I could. When I acquired the Nikon D300, I sent the D200 to be modified to give me a higher resolution sensor for IR photography. ~ by Admin2 on May 16, 2012. Love the digital infrared! I have an old converted canon that does well and just got a tiny lumix with a leica lens that is converted and is a dream.Your lighting in other shots is wonderful too!